With a sleek artistic design that flawlessly captures the exciting Metro Modern style, the “Alyn” dining room collection is sure to wake up the atmosphere of any dining experience. The medium brown finish flows beautifully over the straight-line contemporary design of the table base supporting the stylish look of the black printed glass table top with polished edges to embrace the essence of sophisticated Metro Modern furniture. 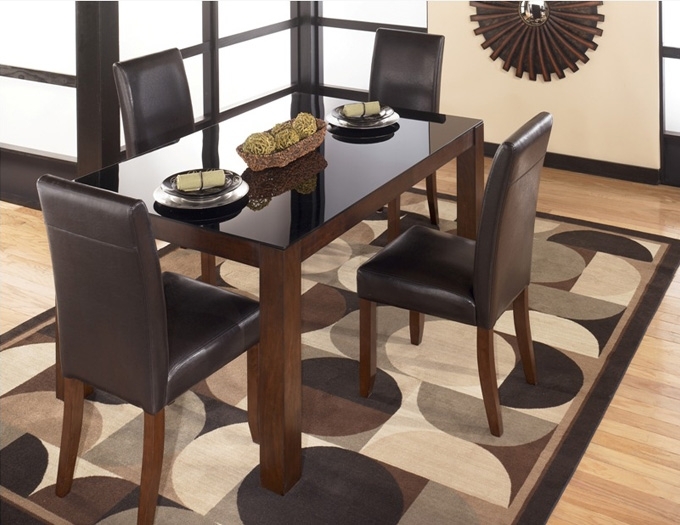 With the modern designed hardware and faux leather upholstered chairs, the “Alyn” dining room collection is an exceptional addition to any home environment.